Holy freaking moly. How is it already the last day of June. 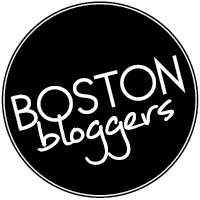 When I got home from work Monday night, I sat down to ponder what my next blog post would be. After taking a few moments to review my monster list of topic ideas, the date hit me like a brick in the face. I quickly realized a shameless product placement was in order. They’re not always the most informative pieces, but they are easy. Much like CSPAN, these posts are nearly effortless and run the risk of putting you to sleep. You’re welcome. I cannot continue without first acknowledging this Blagojevich situation. How could he have possibly thought he could sell Obama’s Senate seat and not get caught in the process? We’re talking about a man whose dismissal from The Apprentice was reportedly due to his technological inadequacies. He literally could not use a computer or text for that matter. On Monday he was found guilty on 17 counts of wire fraud, attempted extortion, soliciting bribes, conspiracy to commit extortion and conspiracy to solicit and accept bribes. I would think that in order to even attempt getting away with any of this, some knowledge of how to operate an iPhone would be necessary. This isn’t Hogan’s Heroes. Now then, the Shameless Product Placement of June is…. I was a kid raised on Jiff. It was (and still is) delicious awesomeness. From the artery clogging sensation it induced to the way it cements to plates in the dishwasher, I genuinely loved everything about it. It sufficed for the first twenty or so years of my life. But the honeymoon had to eventually come to an end. A of couple years back, a cardiovascular surgeon was a guest at the after school program where I volunteered to help teach inner-city middle schoolers how to cook healthfully. He brought in real human hearts, each one having a greater degree of cardiovascular disease. They were interestingly disgusting. Being the strong stomached girl that I am, I fainted only four times, wet myself twice and threw up once. You’d think after one of those episodes, someone would have asked me to leave the room. The demonstration continued on with a miniature Eat This Not That lesson: chicken over red meat, fruit over candy, olive oil over butter, blah blah blah. One topic discussed was trans fats. Thanks to the butter vs. margarine post from Monday, you’ve been well-informed on trans fats. The thing about a lot of peanut butter products out there is they contain hydrogenated oil(s). That probably means nothing to most of you, so I encourage you to keep reading. There’s a prize at the end. To put hydrogenation into laymen’s terms, the word simply means to treat with hydrogen. By chemically introducing hydrogen to oils, it turns them into solid fats. It’s a process done to extend a food’s shelf life. You’ll recall from butter vs. margarine that NYC health code prevents food service operations from using artificial trans fats. Hydrogenated oils are one such example. There is a slight catch when it comes to fat labeling. A product can claim to be ‘trans fat-free’ and list zero grams of trans fat on the nutrition label if there is less than 0.5g per serving. Okay, that’s fine. However, that food doesn’t necessarily remain trans fat free if you eat three servings of it. Enough about the mundane details of labeling, let’s get to the good stuff. Similar to all other products I’ve chosen to spotlight on this blog, the theme they all seem to carry is simplicity. All of them (all two of them) have contained a limited number of easy-to-read ingredients. This one is no exception. 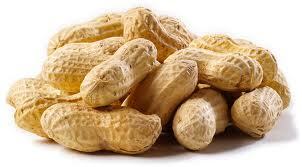 Most natural peanut butters typically have one, maybe two, ingredients: peanuts and salt. Yes, this is the kind you have to stir and store in your refrigerator. Over the last three years I’ve tried numerous brands and various nut versions – think almond and cashew. As a former Jiff devotee, the best one I’ve found is Smucker’s Natural Peanut Butter. It’s sweet and has a normal peanut butter consistency, not that gritty texture other natural nut butters often bring to the table. Best of all, Smucker’s has somehow discovered a way to make a natural peanut butter than requires little to no stirring. Other than the traditional pb & j, I thought I’d give you some other unique ideas for ways to eat peanut butter. That list got increasingly decadent. For a while I boycotted peanut butter due to it’s fat content. Was I insane? Yes. Here’s the thing about fat. Like the infamous carbohydrate, fat should not be feared. Of the macro-nutrients, fat is the most complex one to digest and therefore, keeps you feeling full longer. If you disagree that capitalizing on satiety is not a fundamental part of weight loss and/or weight maintenance, meet me outside. But peanut butter isn’t just a good source of fat, it also packs some protein. Two tablespoons equal one ounce of protein. Check this scrumptious stuff out! No need to go to a health food store either. 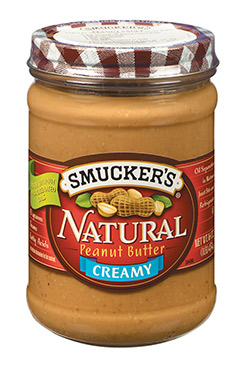 Smucker’s Natural Peanut Butter can be found in your normal grocery store. It’s available in Creamy, Chunky, Honey, or No Salt Added. Come back next week for I don’t know what, but it’s sure to be fantastic.